If Debby looks familiar to you, it's because she's been our Volunteer Spotlight once before. 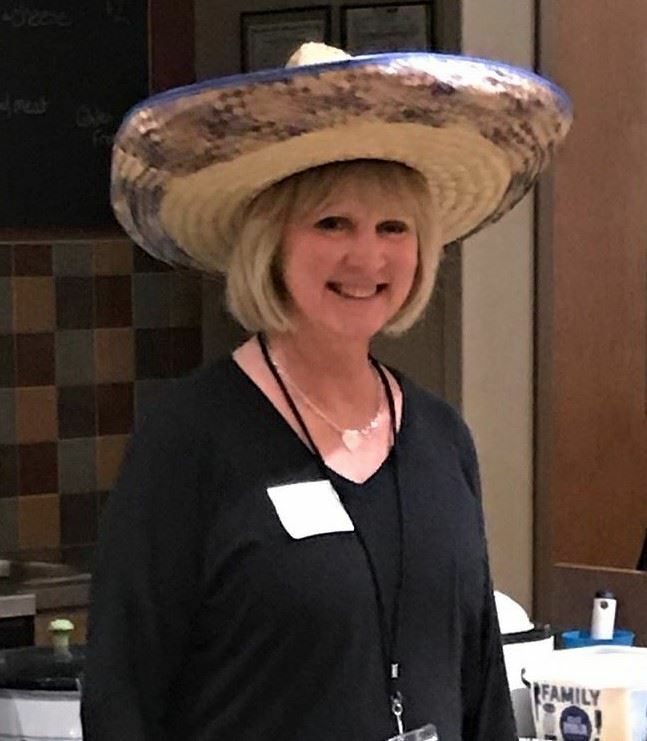 If she doesn't look familiar to you, it may be the sombrero that's throwing you. The picture above is a wonderful representation of the fun-loving, joy-filled, generous heart that is Debby. Debby wears many hats (literally) when it comes to Single Parent Provision. She not only serves as a committed member of the SPP Board but is a wonderful ambassador of our Break Time program. She volunteers at nearly every one and recruits those around her to do the same. She loves children and loves connecting single parents to the wonderful service Break Time provides. She is always thinking about ways we can infuse extra special moments into our time with the children which can be seen above. To celebrate her recent birthday, she provided a sugar-filled ice cream bar with all the fixins you could imagine for the Break Time kiddos to enjoy. She goes above and beyond to embrace and live out the mission of Single Parent Provision, so Debby, our sincerest thanks cannot be expressed enough. Thank you, Debby, for the joy you bring to so many! You are a blessing! !